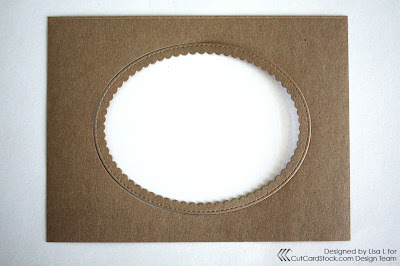 To create this card I started with two Brown Bag Invitations. 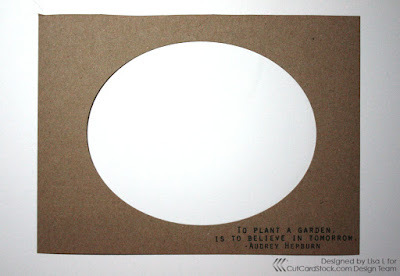 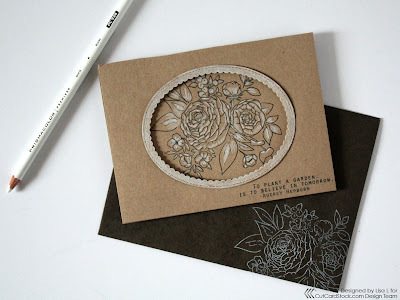 I then folded one, used an oval die cut to trace where it would go on the front of a card with a pencil and stamped a floral image with in it. 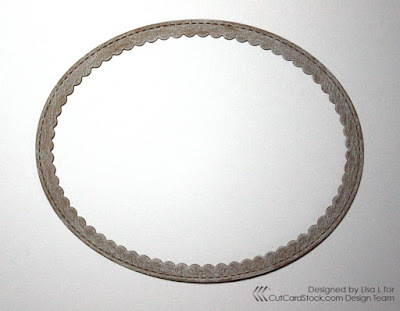 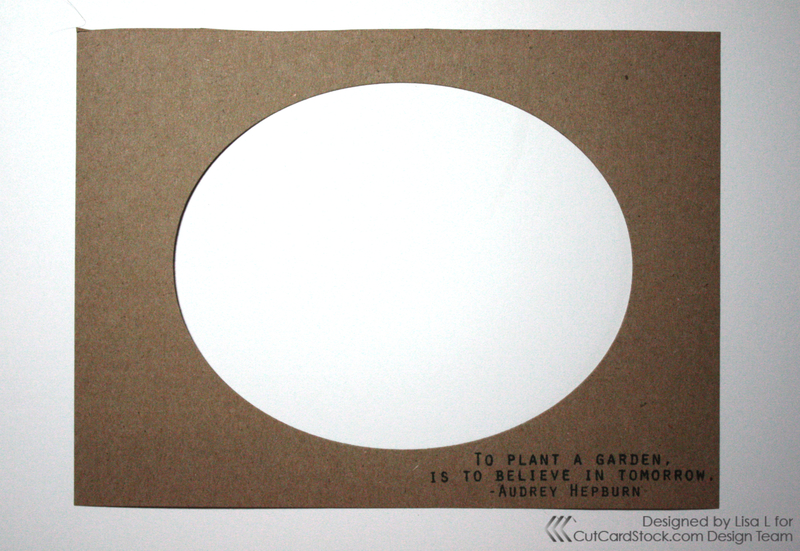 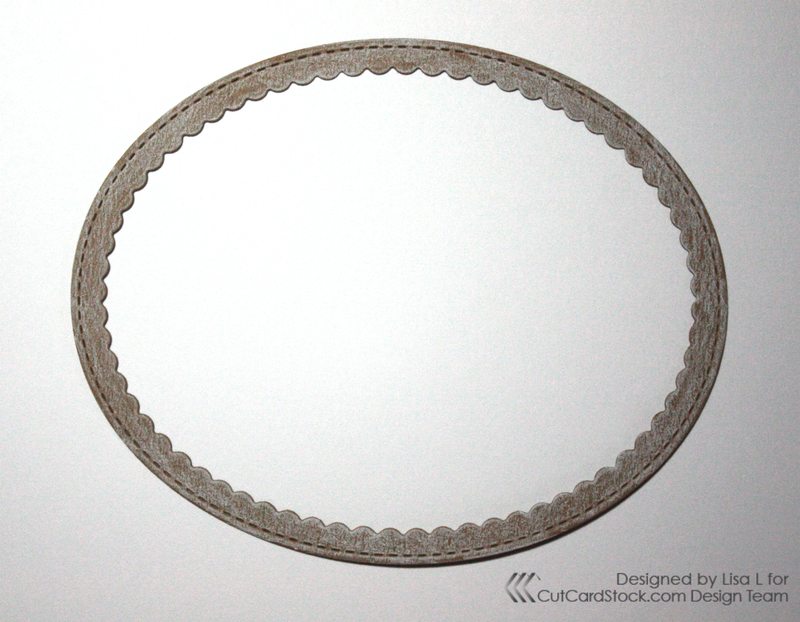 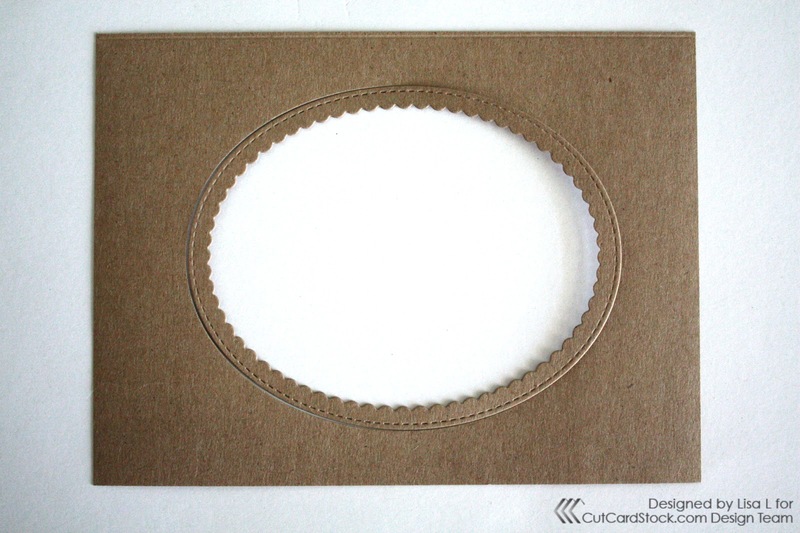 I cut the second invitation in half and diecut my oval from the center of it. 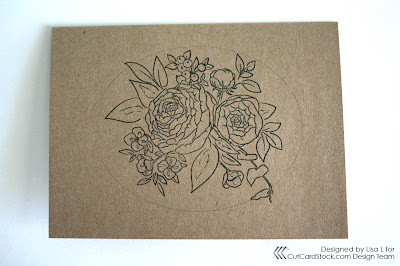 Next I went over the stamped image and the diecut over with a white colored pencil. 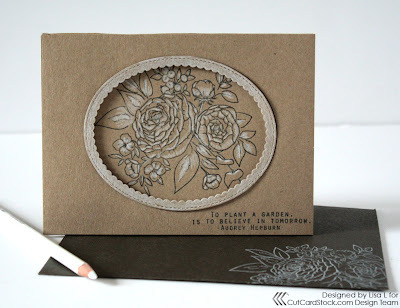 I then stamped the sentiment on the diecut base in the lower right corner. Finally, I added the diecut oval and the sentiment with foam adhesive.